It was an amazing set of ten contestants that wowed the audience on Nigerian Idol which showed in television stations across the country. The popular music reality show presented the second set of its top 30 contestants performing some of the globe’s biggest songs to the awe and admiration of the viewers and judges. Joining the dynamic trio of judges Jeffrey Daniel, Yinka Davies and Charly Boy was ace producer Samklef who added a new vibe to the already entertaining show. “You can see that Nigerian Idol is heating up by the reactions of the audience to these talented performers”, explained Tiwa Medubi, Project Manager of the hit show. “The show will only get better obviously; the top ten is coming up very soon and fans and viewers of the show will have the time of their lives, watching these extremely talented young people blossom into full fledged stars,” she said. First on the list of performers was the bold Jemiriye who gave a strong rendition of Monica’s hit ‘Angel of Mine’. She was followed by the booming Joe Blue whose rendition of Michael Bolton’s classic ‘How am I supposed to live without you’ earned him a standing ovation from the judges and audience. Next was CJ who got the audience to sing along with him in a mellow and sweet version of the Bill Wither hit ‘Lean on Me’. Lynda Giami escaped her shell to give an animated version of ‘Another day in Paradise’ by Phil Collins. 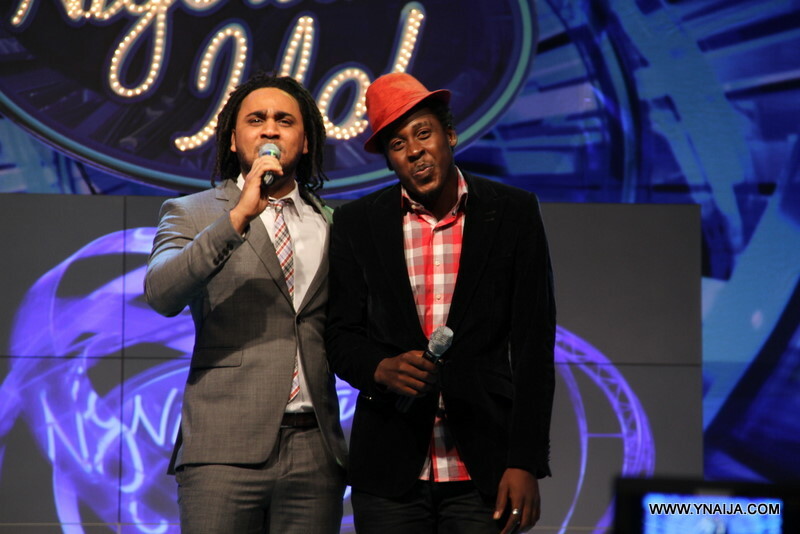 The suave Houston Grey brought John Legend to the Idol stage with a superb version of the hit ‘Ordinary people’. 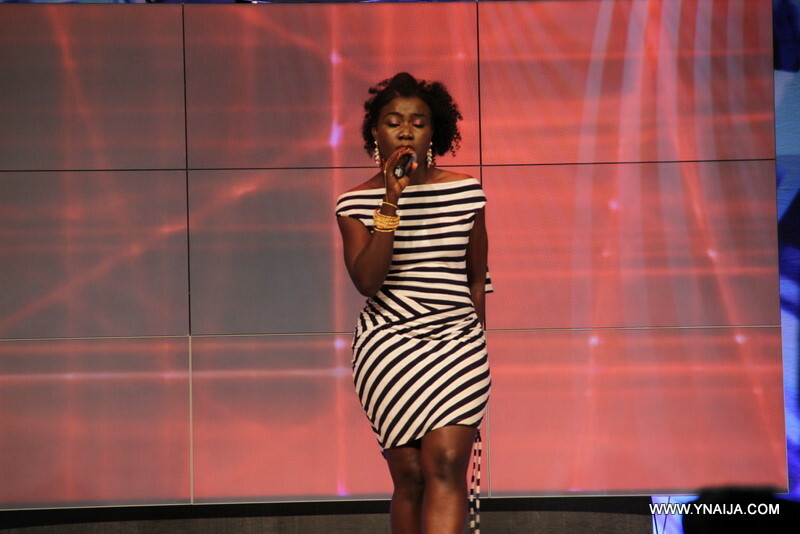 With ‘How will I know’, Ifeoma delivered a smooth performance of the popular Whitney Houston classic. However, it was the sassy Ibinabo Romeo, who increased the temperature with her dramatic show of Gloria Gaynor’s ‘I will Survive’. The temperature also turned a notch higher as G Circuit gave an electrically charged performance of Usher’s ‘There goes my Baby’. The smooth voiced Honey delivered an unbeatable take on Lionel Richie’s ‘Stuck on you’ that got Judge Yinka Davies close to tears and the audience giving an extended ovation. Finally, the stunning Tega closed the performance with an emotionally charged performance of Mary J Blige’s ‘Be without you’. 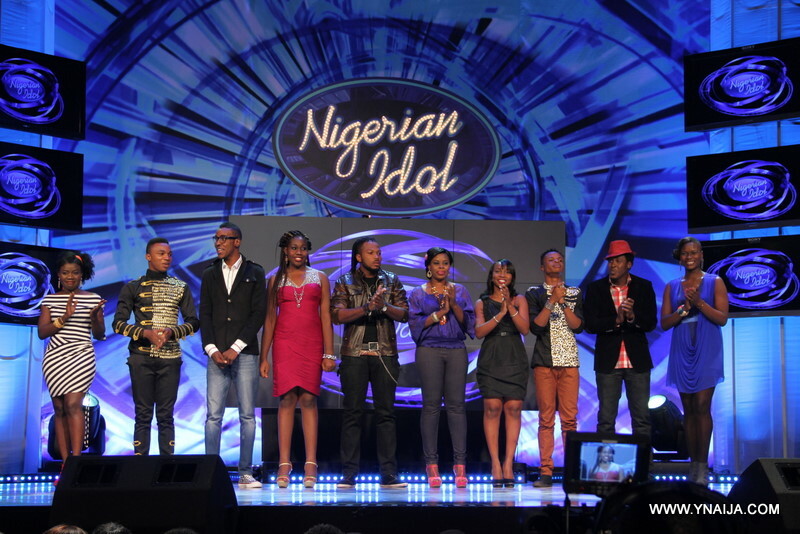 According to www.nigerianidol.com, with the second batch of the top 30 concluded, the audience and fans finally have the chance to vote in their favourite contestants to go into the top 10. Already, Chinedu, Nikki and Najite from the first batch are the first trio to make it into the top 10. The voting lines close on Thursday and on Friday, viewers will find out the next trio to make it into the top 10. The top 10 will be unveiled early in February and the next Nigerian Idol will be crowned at a grand gala on the I st of April. The next winner will join Yeka Onka as one of the Idol greats across the globe that include West Africa’s Timi Dakolo and America’s Jordin Sparks.